David Daniell is a product of British Cycling’s talent-scouting process, having been spotted via BC’s Go Ride scheme whilst still at school and fast-tracked for success in the track sprint disciplines. Daniell soon proved his talent, with junior wins in the world (team sprint) and European (team sprint, kilo) track championships in 2006. In 2007, Daniell followed this with further gold medals as a junior at the worlds (team sprint), European championships (sprint) and British national championships (sprint and kilo). 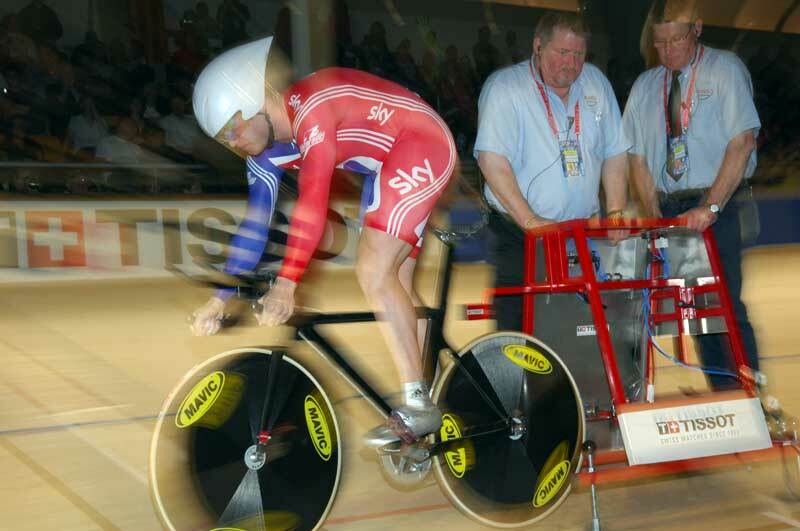 Daniell’s first big international victory as a senior came at the Manchester round of the 2008/09 World Cup when he scooped the kilo win with a blistering time of 1-01-996. Daniell was subsequently picked to ride for Team GB at the 2009 track world championships in Poland. He came second in the Keirin in the 2010 Dehli Commonwealth Games, but has struggled to maintain a permanent foothold in the highly competitive GB sprint team. Click on the thumbnails of David Daniell below to open a larger image in a new window.